The Ancestral Pueblo People of the Four Corners - Eat See RV! The “four corners” of the United States (the border of Colorado, New Mexico, Utah, and Arizona) was the home to the native Ancestral Pueblo peoples. They occupied this territory hundreds to thousands of years ago originally building homes in the ground. Over time they evolved into communities entirely built in the cliffs of canyons. The ancestral pueblo villages, especially their cliff dwellings, are a sight to behold! Considering the time they were built, the resources available to them, the location of the cliffs, and the size of their structures, it’s an incredible architectural accomplishment! 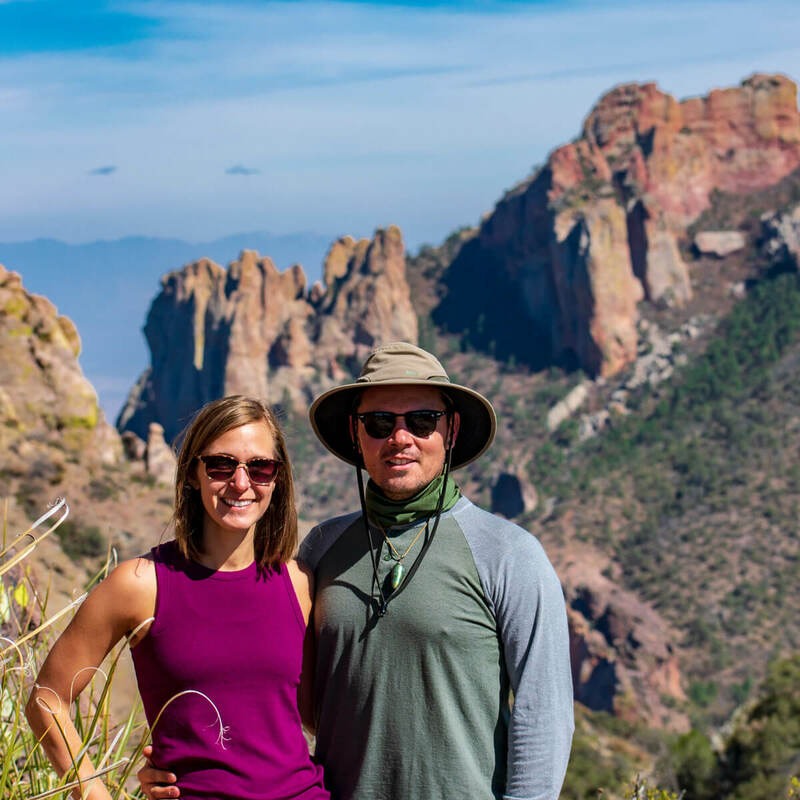 These villages are tucked away perfectly into alcoves of cliffs, high in the canyon walls, or in the mesas of the mountains. 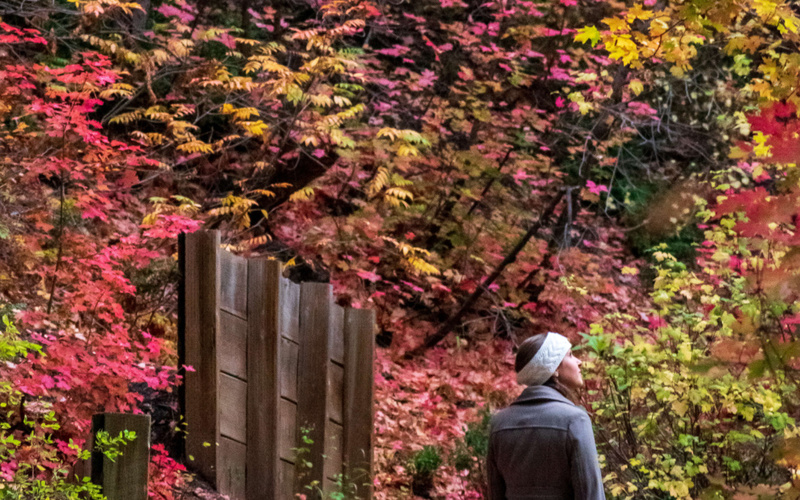 Each alcove provided the perfect amount of warmth and protection from wind during winter, and the right amount shade in the heat of summer. 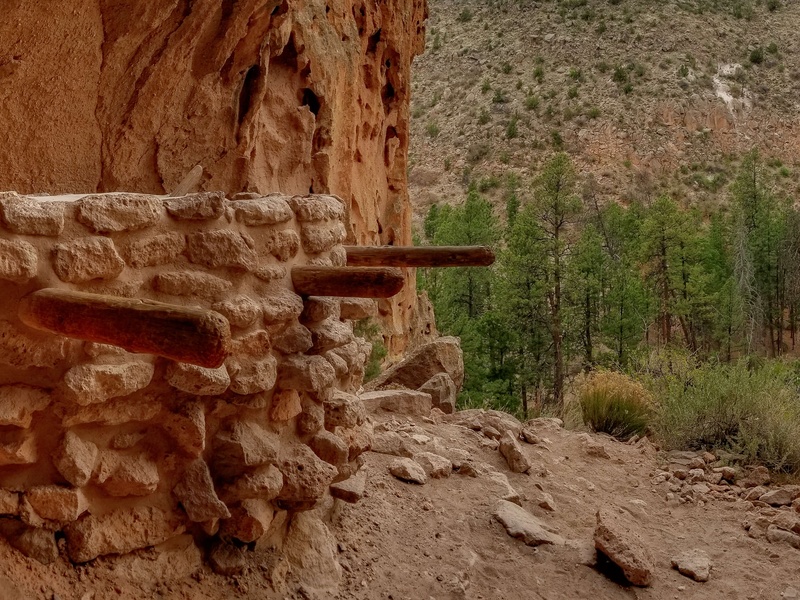 It’s one of the reasons the ancestral pueblo people were able to live and flourish for as long as they did in such a challenging area of our country. 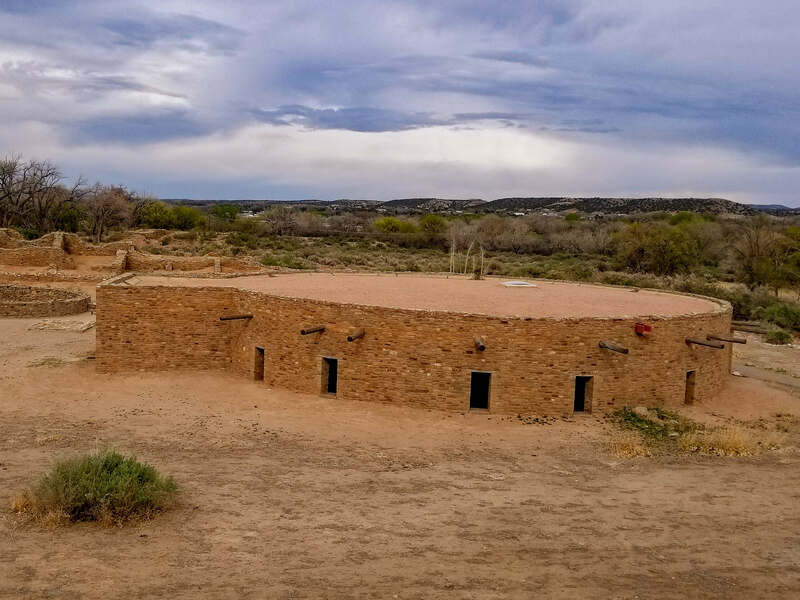 If you are visiting or passing through the four corners area, we highly suggest taking some time to visit the historical ancestral pueblo peoples village’s that are being carefully maintained and protected in the area. 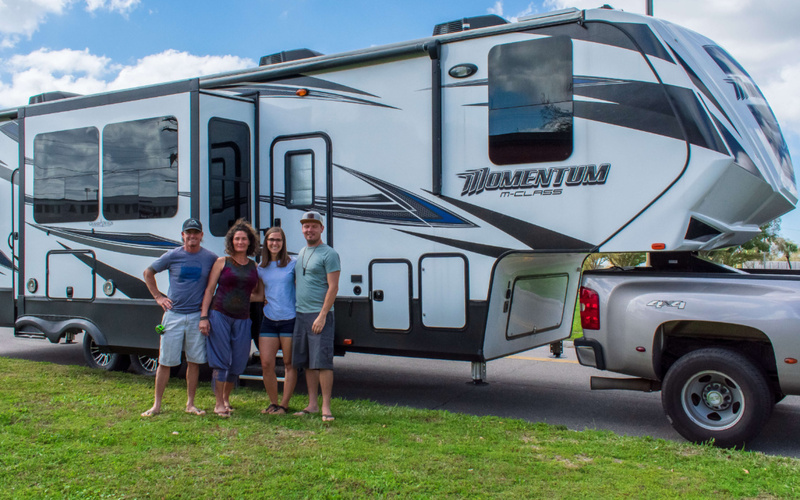 We stopped at several along our journey north and are excited to share their beauty with you! 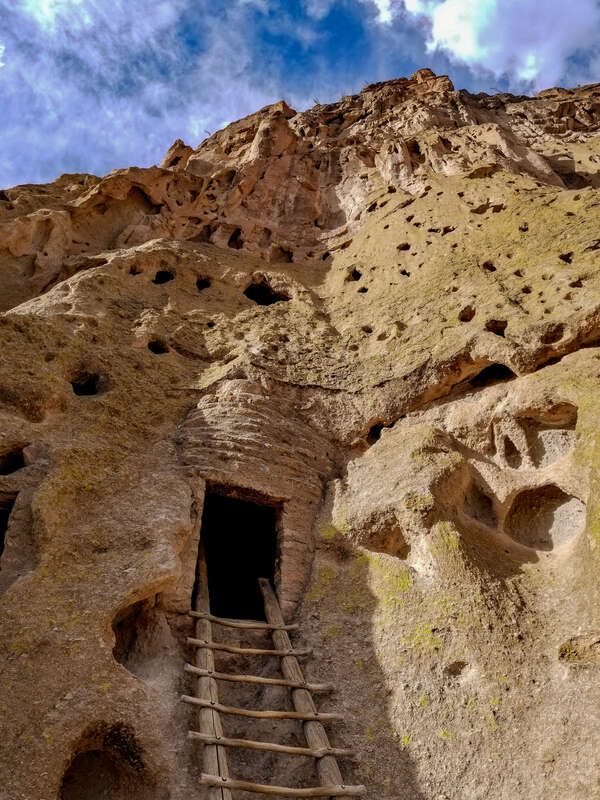 Located just below the Jemez Falls mountains in the “high desert” country of New Mexico, Bandelier National Monument is well worth a visit! It was one of our first exposure to a real village of the Ancestral Pueblo people and it was amazing! 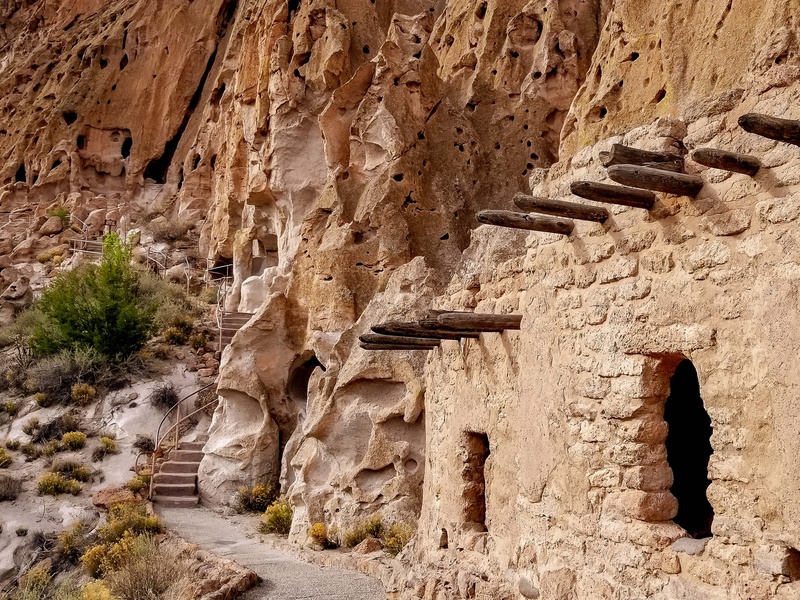 While it’s a small park in comparison to some of the nearby monuments and national parks that highlight the native cliff dwellings, it gives you a more “up close” and personal experience with the dwellings themselves. We were able to climb ladders to walk inside the dwellings, imagining being in their shoes hundreds of years ago. 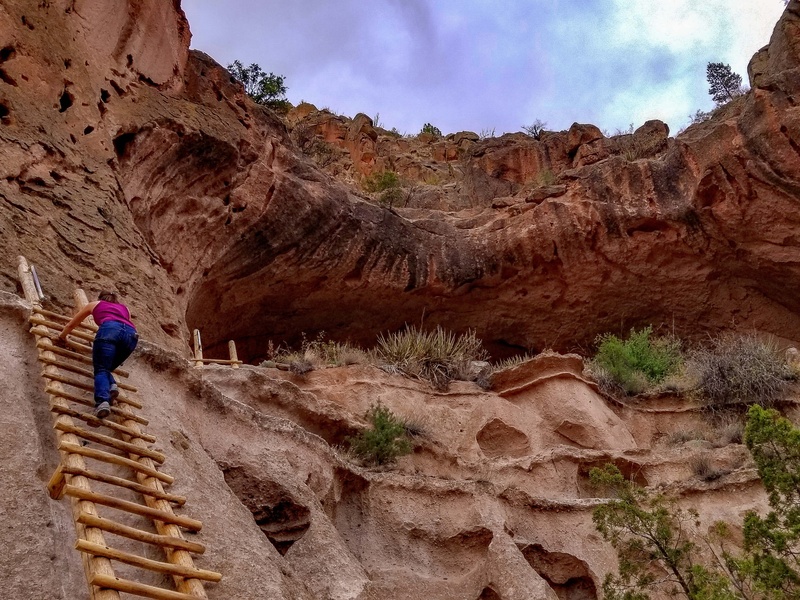 There is a walking path down the cliff side of the canyon that highlights the various types of structures the ancestral Pueblo People used as their homes over the years. 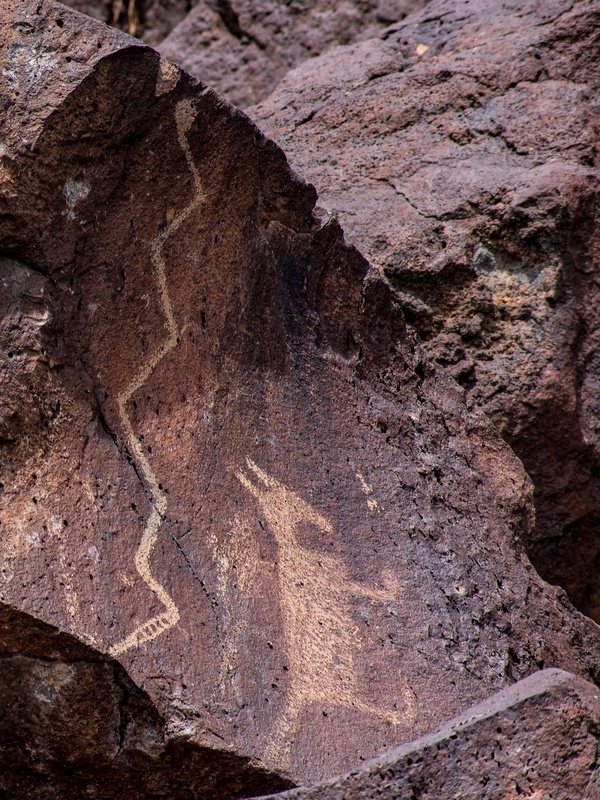 While they are not fully intact throughout the park, there is clear evidence of their previous existence, including petroglyphs nearly half way up the cliff wall because that’s where their roof line once stood! 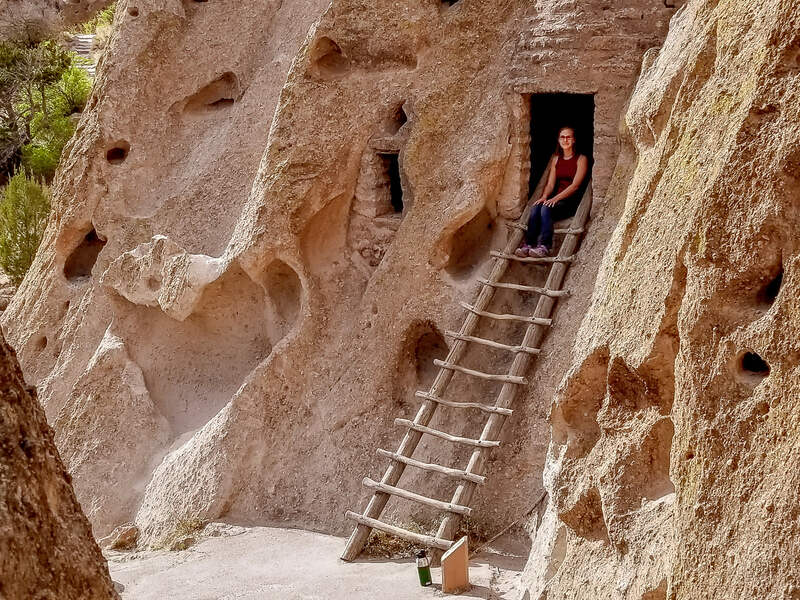 We enjoyed visiting the Alcove House which was just an extra mile from the main path through Bandelier. 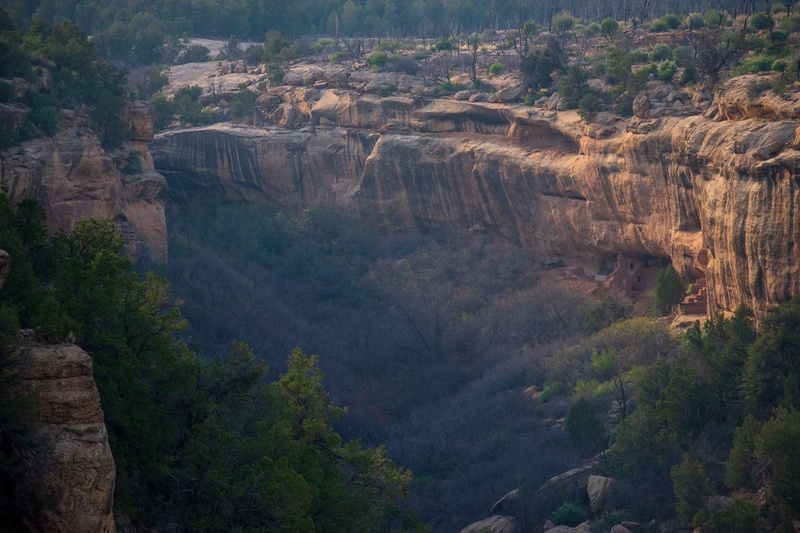 It brings you to one of the taller cliff dwellings of the area that requires a climb nearly 140 ft up into an alcove! It is incredible to think the ancestral Pueblo People climbed up these ladders with food and supplies. Can you imagine?! Other than a few rooms at the top there was not much remaining other than the Kiva, a gathering place where they often held ceremonial rituals or important meetings. The Kiva was unfortunately closed but with a tour guide we are told you can see inside. On our walk back we encountered deer grazing on the fresh grass, and listed to the beautiful stream pass through the canyon. It’s such a beautiful place. It’s easy to see why the Ancestral Pueblo people called this home for hundreds of years. 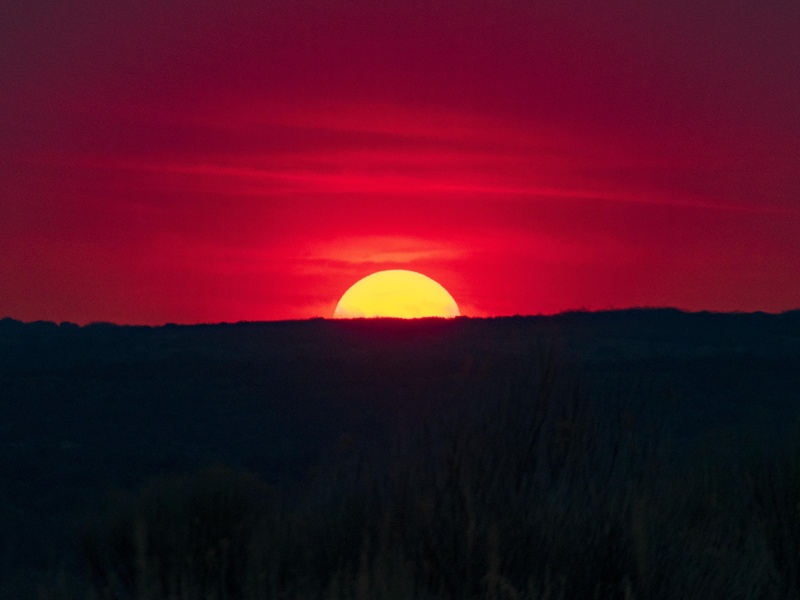 Located in the city of Albuquerque, Petroglyphs National Monument is a modern day natural museum. 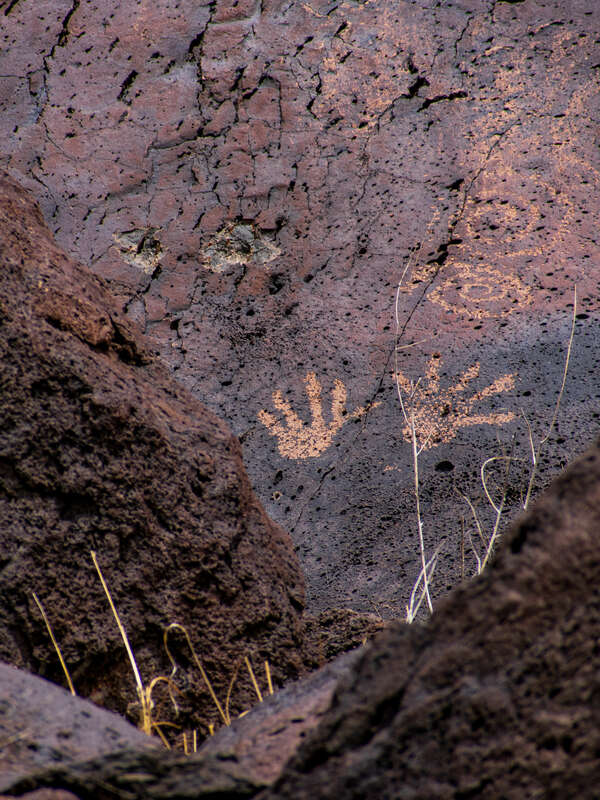 Housing over 24,000 petroglyphs dating back to nearly 3,000 years ago it’s a wonderful place to take a break from the city and learn about the history of New Mexico and the Ancestral Pueblo People. 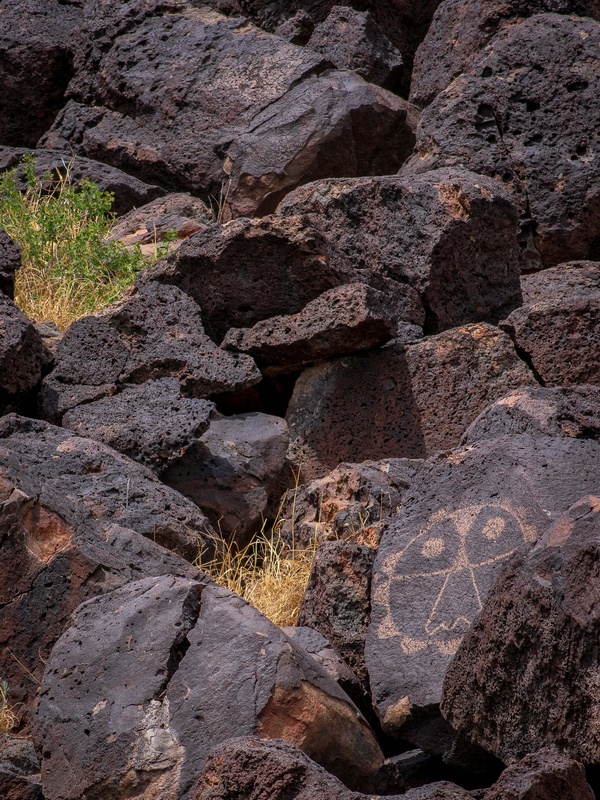 There are several trails in three different areas of the park that showcase various features of the area such as the volcanic activity that created the modern world we know today and of course, the petroglyphs. Most of the paths are sandy and flat throughout, but in direct sun. Bring water and sun protection, as it gets hot even in winter days. 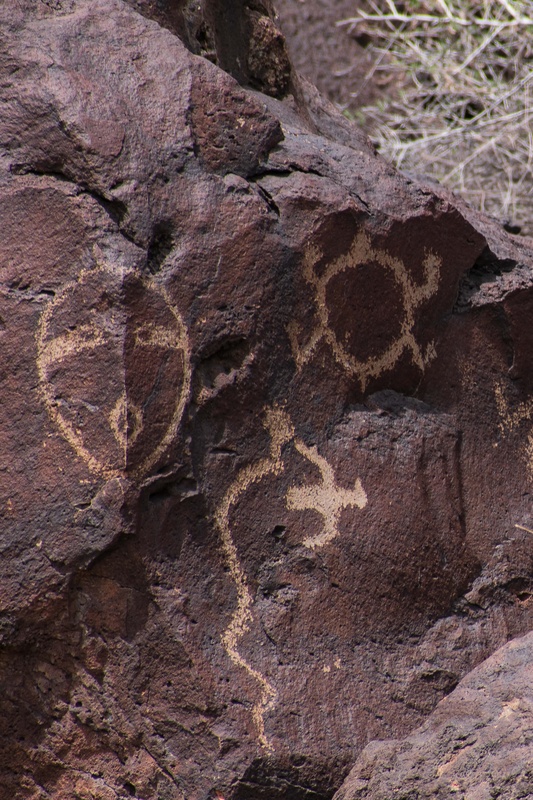 The hike overall is rather short but you have to look carefully for the petroglyphs. They have markers for a few, but more or less it’s up to you to find them. We spent a whole afternoon hunting for the petroglyphs. While the name may fool you, this village actually belonged to the Ancestral Pueblo people, not the Aztecs. It’s a very small national monument that has one of the largest restored Kiva’s that remains in the United States today. They call this kiva in particular, the “Great Kiva”. 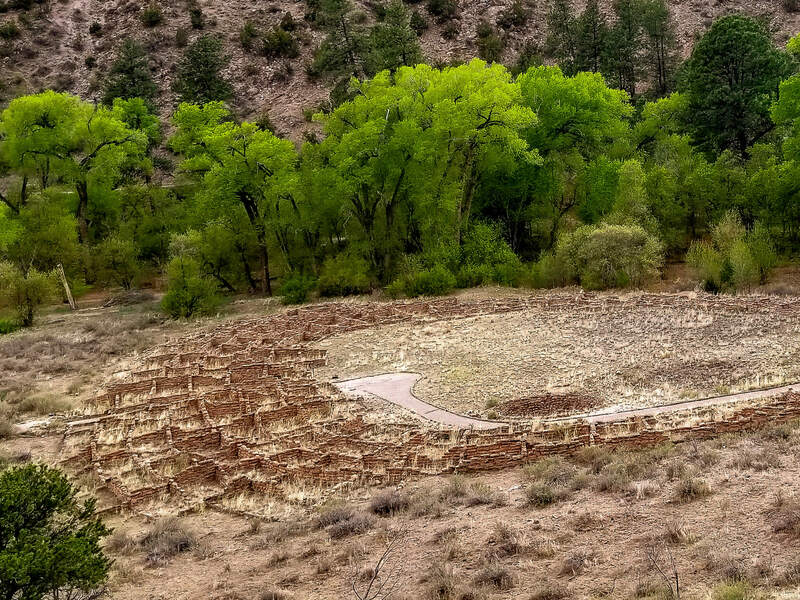 While the actual purpose of the Kiva’s is unknown, it is believed they were used as a gathering place for the community or family that inhabited the area to perform ritual ceremonies or simply carry on normal day to day tasks like basket weaving. Each family had their own Kiva, so it is not uncommon to see multiple Kivas in one village. The Great Kiva likely provided a sacred and special place for the whole community, while the smaller Kiva’s allowed for the families of the village to gather. For the ancestral pueblo people this Kiva is a very special and sacred place. While we visited we met a woman from Brazil that has tie to the pueblo people and she was visiting this Kiva to pray in her native language (not Portuguese). We felt honored to be able to witness it. Visiting Aztec National Monument it will only take about an hour or two. 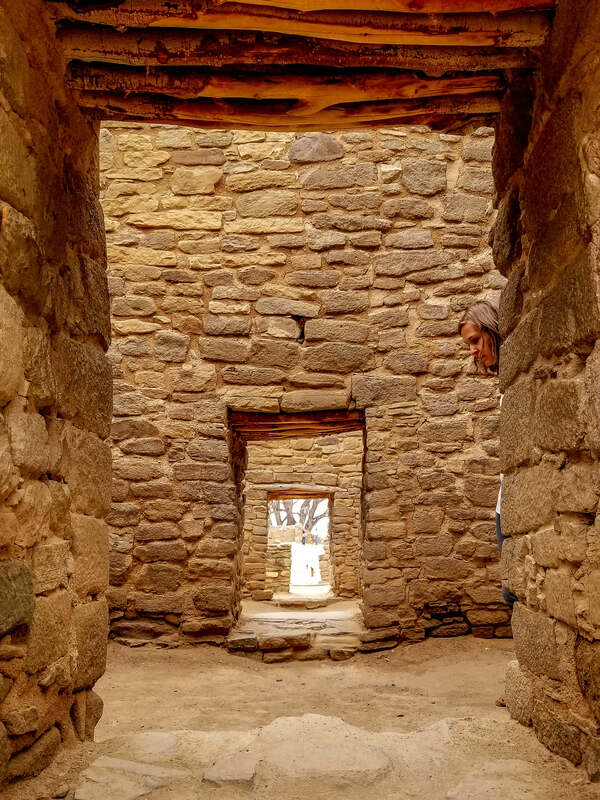 We spent closer to the two hour mark because we really appreciate the culture and history here and took our time walking through the Kiva, taking pictures, and observing the beauty of the area. There is a walking guide and the path is flat cement, just over 1 mile around and through the village. 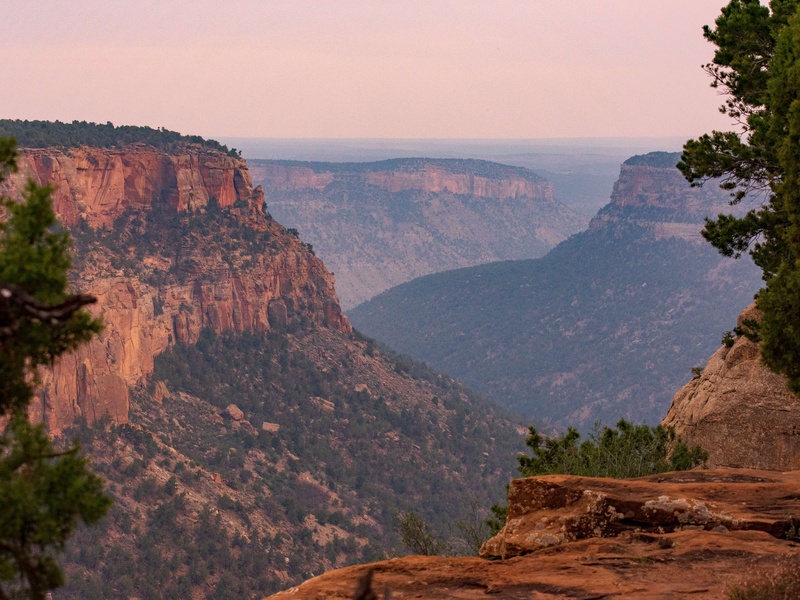 It’s definitely worth a stop as you head toward Mesa Verde! 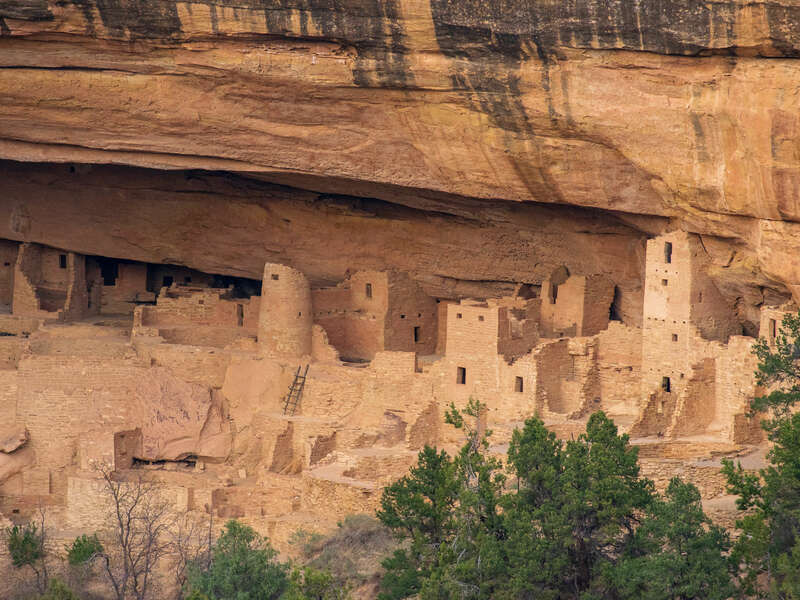 When you think of “Cliff Dwellings” you’re probably thinking of images you see here! Mesa Verde National Park is just over the border of New Mexico in Colorado. 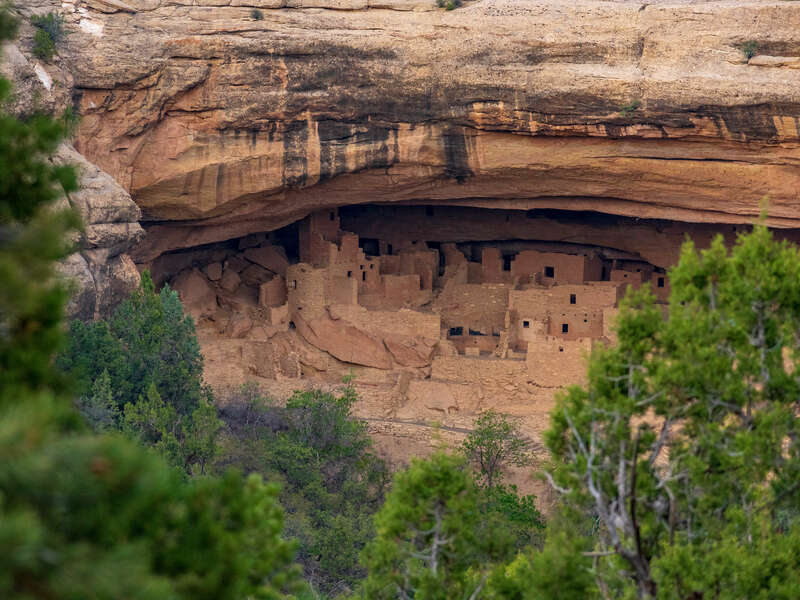 It has the largest concentration of cliff dwellings in such close proximity to each other as well as some of the most in-tact communities of cliff dwellings, amounting to nearly 600 dwellings all together! 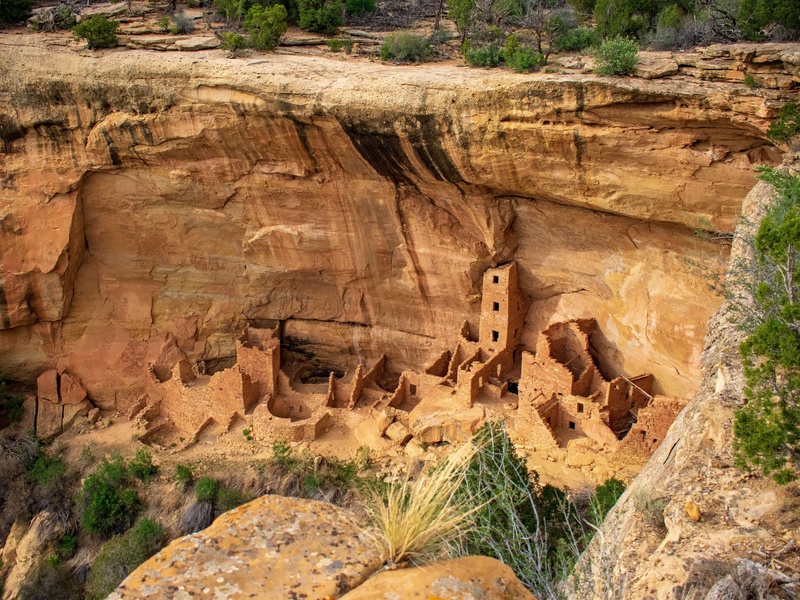 The Ancestral Pueblo people lived on top of the Mesa around 700 years ago, so it’s rather current in terms of the Ancestral Pueblo people’s history. There are older style of homes before the cliff dwellings became the wide spread choice of buildings, that show the history overtime of how the people lived and survived. Going on a tour of one or more of these dwellings is highly suggested and free! We were not aware that you have to prebook this pretty far in advance (or that they were free), so we missed the tours this time. Since we didn’t get to go close to any of the dwellings, we ended up driving around the mesa stopping at many of the historical points or viewing points where you can get a glimpse of these beautiful structures. 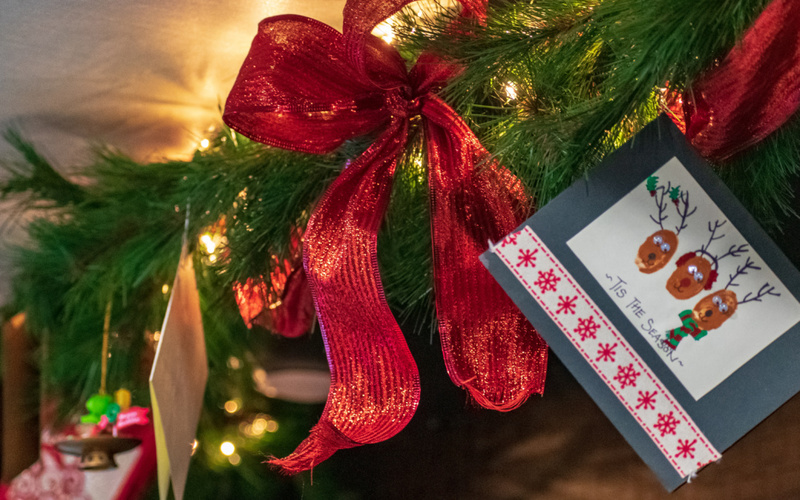 We will definitely be back to visit and will most definitely be booking a tour or two! 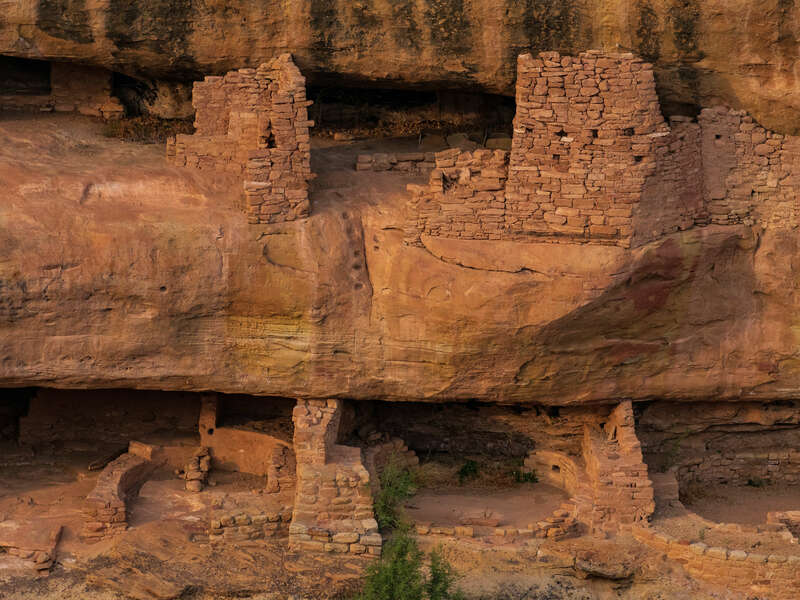 These are only a few of the historical sites for the Ancestral Pueblo people in this area. We would have loved to have visited the Chaco Culture National Historical Parks as well but we didn’t have enough time this visit. 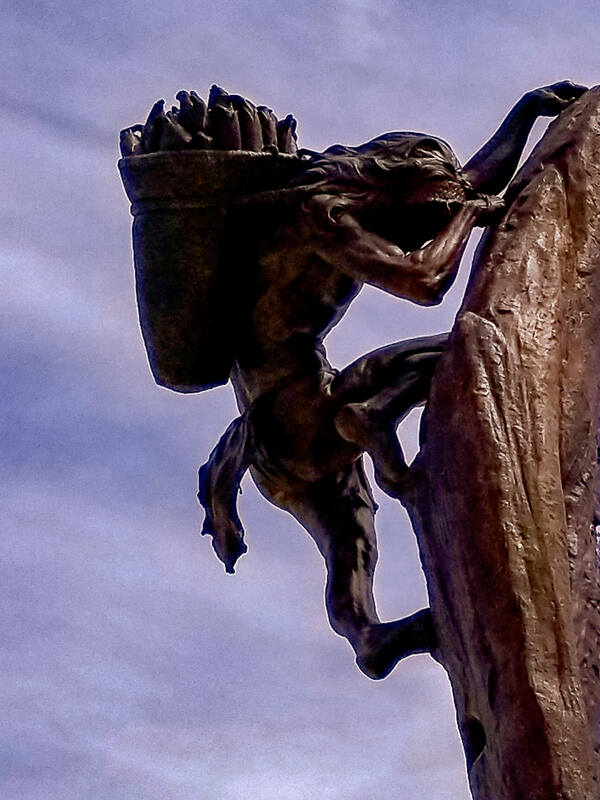 The importance of their culture and history is evident throughout the four corners area. If you are passing through take time to appreciate all they gave to the land and the impact they have on this area today!